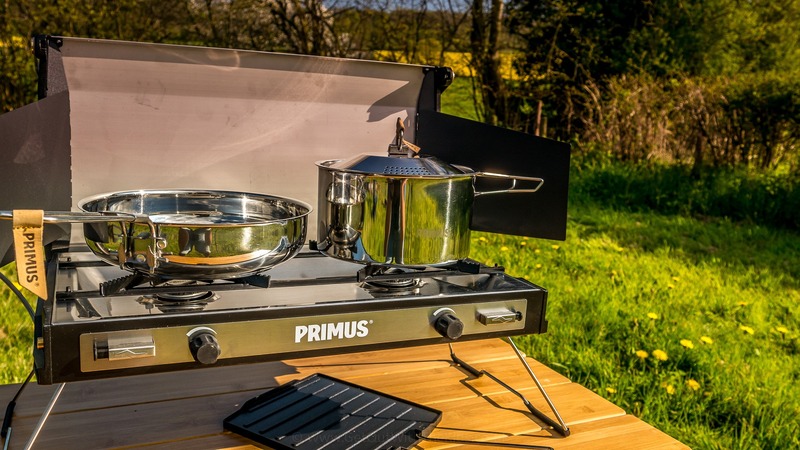 The Primus Campfire Cookset looks very smart, but how practical and useful is this set of pots and pans? We take a closer look. 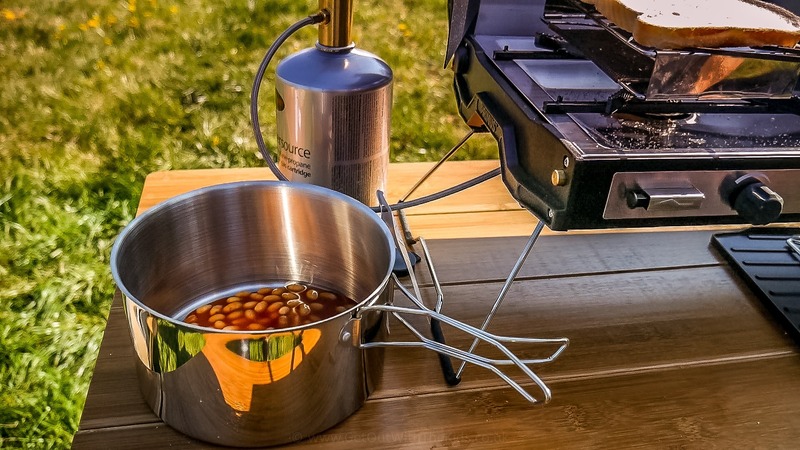 Our first impressions of the Primus Campfire Cookset is that the whole set looks very smart. From their highly polished stainless steel, down to the little leather Primus tags on the pot lids. The stainless steel pots and pans look smart. But does the cookset only have good looks? How practical are they? We take a closer look.  The cookset comes with its canvas bag, which makes it easy to bundle everything together and keep with your camping gear. Inside the canvas bag, you’ll find a frying pan, and two pots. They fit inside one another, and the handles fold, so when packed away in the bag, the cookset doesn’t take up much space. The smaller pot also has folding handles. The handle on the larger pot has a notch in for hanging over a campfire. The big pot in the set has a notch in the handle for hanging over the campfire. A few other features we like about this set of pots and pans are the lids. You get two lids; one for each of the two pots in the set. Each lid has a little leather tag on the handle, which gives you something to pull to lift the lid off without burning your fingers. The lids also lock into place. 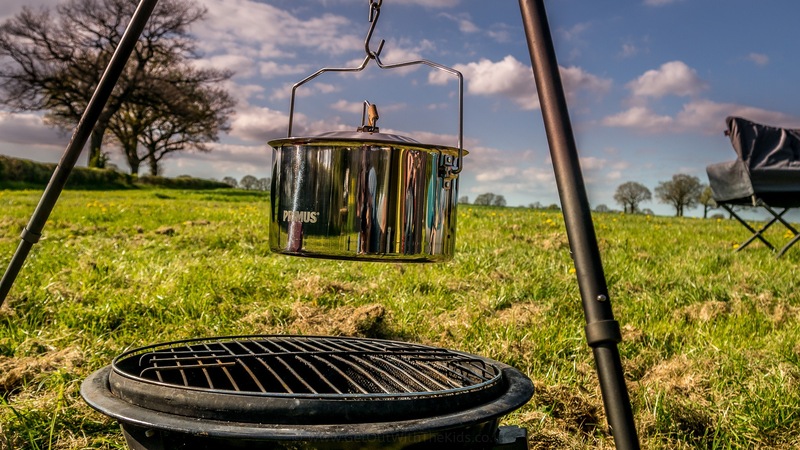 Locking lids are not only a useful safety feature but if you do have the pot sitting in the embers of the campfire, you don’t want the lid accidentally falling off and covering your meal in ash. The lids also have small holes, which not only help prevent liquids boiling over but with the lid locked into place, provide for a way to drain food such as pasta. Holes in the lids are useful for draining. The leather tag on the handle helps with removing the lid when it’s hot. Well, shiny things don’t always stay shiny for long. 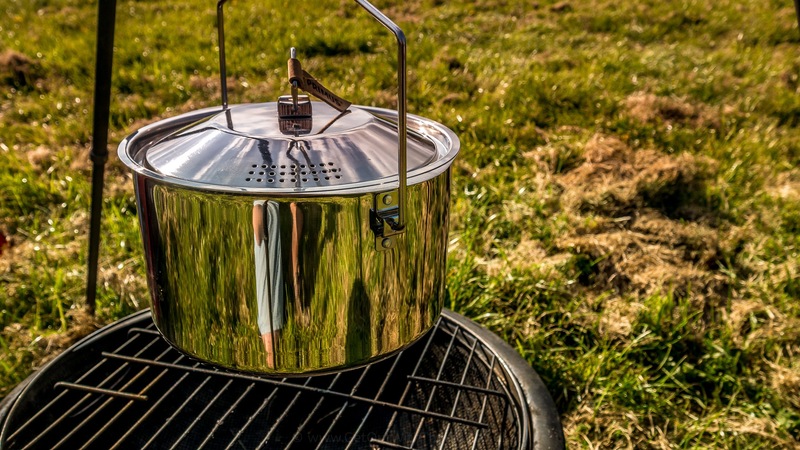 We’ve been using this cookset throughout the summer, both on the gas camping stove, and also with the large pot over the campfire. 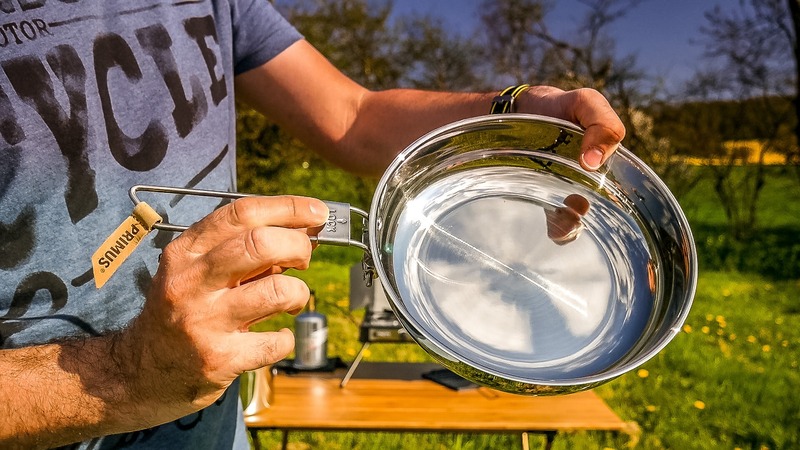 The Primus Campfire Cookset is, as you would expect for something like this, a bit more expensive than a cheap set of pots and pans. However, from our experience of them, they are a good quality product, and if you shop around, you can find some good deals for them. They get the thumbs-up from us. Disclaimer & Thanks: we’d like to thank Primus for supplying us with the cookset for review. All opinions are our own. 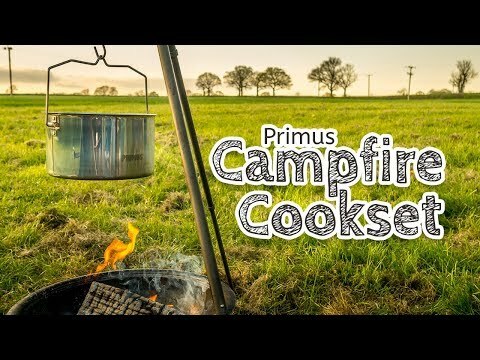 We really like the Primus Campfire Cookset. It get's the thumbs up form us. These pans look smart, function well, and some good features. These are obviously more expensive than a cheap set of pots and pans, but shop around, you can often get them cheaper than the RRP. 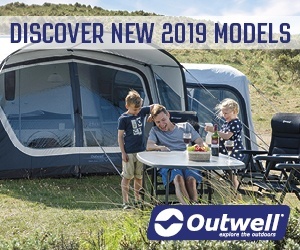 Click on the Price tab above.